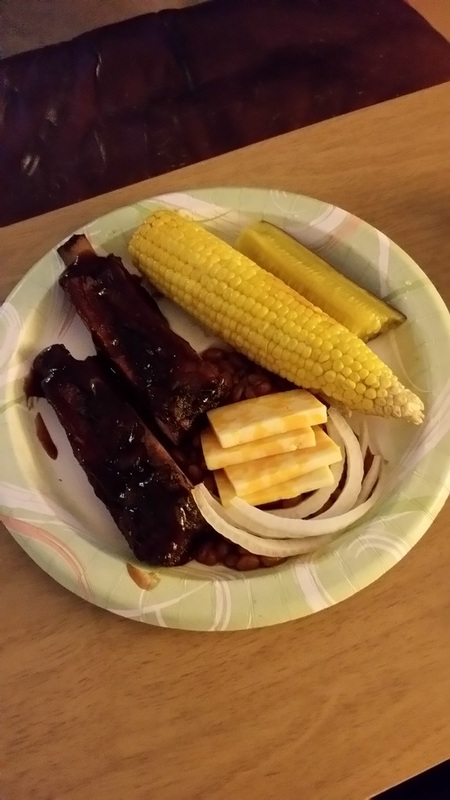 I’ve been making ribs for 5 years now – usually for Memorial Day – and each time they are a little different. The last couple of years I’ve had success with baking them in the oven first then finishing them in a smokey grill. 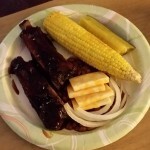 This July 4th (Independence Day) I thought I would share my recipe, and the steps I take to make tender, fall-off-the-bone spare ribs. Wash off the ribs, take off the membrane, and coat them with a thin layer of kosher salt; use about 1/4 teaspoon per pound. While the ribs are brining, mix the rub ingredients together. 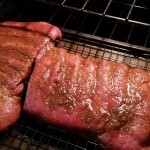 After an hour of brining, apply the rub and put the ribs in a 250 F oven uncovered, bone-side down, for 2 hours. Take the ribs out, brush them with barbecue sauce, wrap them in aluminum foil, and put them back in the oven for another 2 hours. Now take the ribs out, carefully unwrap them, and check if the bones pull away from the meat. If not, wrap them up, put them in the oven, and come back and check on them again in 15 minutes. When the bones start to slide they’re ready for the Finish. You can finish them under the broiler in the oven or in a covered grill (outside). If you want to finish them in the oven, paint them with barbecue sauce, lay them in a baking pan, bones down, uncovered, about 6 inches from the broiler for 10 minutes. Take them out and let them rest a minute – check their internal temperature (160 F). If they need more time, put them back under the broiler for 5 minutes and check them again. I would say have them under the broiler no more then 20 minutes. If you want to finish them with a smokey grill, prepare the grill for indirect heat. When the temperature stabilizes (no flames with charcoal) place wood chips on the coals. Place the ribs on the opposite side the grill from the coals. 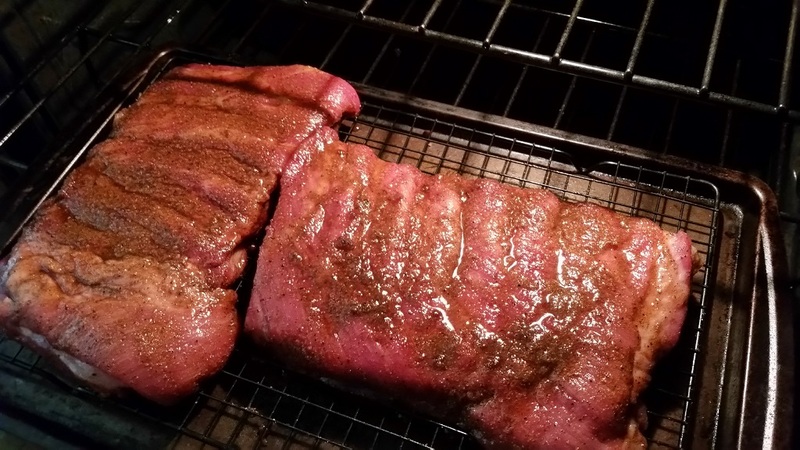 Smoke the ribs for at least 15 minutes (YMMV). Check internal temperature (160 F) or pull on the bones. If they need more time, put them back on the “cool” side of the grill and close the lid. Check them again in 5 minutes. I would say have them under the broiler no more then 20 minutes.